The plot seems to be thickening at AOL (s aol), at least when it comes to Arianna Huffington’s role at the former portal. She confirmed to the Wall Street Journal that her role within the company has been reduced, something that was the subject of much speculation after a New York Times story last month said her power base had actually increased and also revealed later that private-equity firms have approached her about taking HuffPost private. But how would the site fare if it was removed from AOL’s grasp? And if that did happen, would it be the beginning of the end for the faded Web giant? The New York Times piece in April portrayed the changes in Huffington’s role as largely positive, with a headline that said, “Huffington gains more control in AOL revamping” and noted she had been given back the control over various aspects of Huffington Post — such as the technology side and the marketing side — that had been absorbed by AOL. As the Wall Street Journal story makes clear, however, these gains also came alongside a substantial loss of power over other parts of AOL that used to fall under Huffington’s purview, including the Patch hyperlocal unit and sites like TechCrunch. If private equity makes a bid, would Arianna jump? At the Guardian’s Activate summit on digital media in New York on Thursday, the Huffington Post founder joked about a “billion-dollar Kickstarter” fund she was raising to buy back the network from AOL, but she maintained that her relationship with CEO Tim Armstrong was just fine and that she had no intentions of leaving the company. She did admit, however, that private-equity funds had approached her about possibly mounting a bid to extract the Huffington Post from AOL and taking it private as a separate company, although she claimed to have no interest in doing this. Huffington’s insistence that everything is fine between her and AOL’s CEO — and that she doesn’t mind at all having her power base at the company reduced and isn’t considering an exit or a buyback of her empire — may be 100 percent sincere. But there have also been persistent rumblings from within AOL of her dissatisfaction with Armstrong (and vice versa), her ambition to perhaps take over from him as chief executive, and her frustration with the way AOL has handled the merger of the two companies following the $315 million acquisition of HuffPost last year. So it’s worth wondering what might happen if a private-equity bid for Huffington Post did actually become a reality. Would Arianna and a team of financial backers even be able to offer AOL enough to pry the HuffPost away from Armstrong or the AOL board? It’s become fairly clear in the year following the purchase that the Huffington Post’s assets are the primary engine of whatever editorial growth AOL has been able to produce — since whole swaths of AOL’s former content business were demolished to make way for Huffington-generated editorial — and the company would probably not give that up lightly. Could a HuffPost sale be the beginning of the end? Any private acquisition offer would also have to take into account the fact that AOL is generating a lot of the traffic that now goes to Huffington Post, thanks to the rebranding of the former AOL News and the way the company directs links toward its new acquisition in other ways. If the HuffPost were to be spun off as a separate entity, it would lose a lot of that juice and thereby a lot of the economic value of the advertising that comes with it. There is one possible option that would solve both of these problems, but it may not be one Armstrong wants to consider: The sale or spin-off of Huffington Post could be bundled together with some of AOL’s other media assets as part of a dismantling of the entire company. 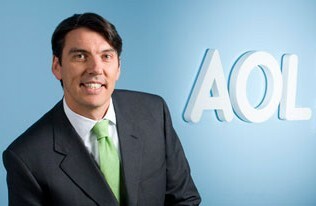 The AOL CEO has allegedly been looking at a number of ways of generating some value from the former portal — whose dial-up business is in rapid decline — including a potential merger with the equally moribund Yahoo, a deal that would potentially include asset sales like the recent auction of AOL’s patents. Whatever happens, the status quo doesn’t seem like it’s going to last very long. Arianna Huffington didn’t get where she is by sitting quietly in the background while someone else runs the show. Either she takes Huffington Post private and becomes the master of her domain once again — a deal that could involve gutting AOL completely — or she stays the course and makes the case to AOL’s board and its increasingly frustrated shareholders that she is the source of virtually everything that has any value in AOL, at which point she takes control over the whole thing. Sorry, Tim. Huffington and Armstrong appeared at our paidContent 2011 conference, shortly after AOL announced its acquisition of the Huffington Post. Check out the video of their session, in which they spoke about what they had in mind for the then-new version of AOL. In the meantime, we’ll continue to discuss these media issues (and more) at our upcoming paidContent 2012 conference in NYC. Register today. AOL is giving HuffPo eyeballs that would never regularly read it, like mine. I switched to an AOL e-mail account to get a short e-mail address around the time AOL bought HuffPo. Before getting my AOL account, I rarely read the Huffington Post. Now I read it occasionally, either because I see interesting articles linked to it in AOL webmail, or the AOL landing page I’m directed to after logging out.